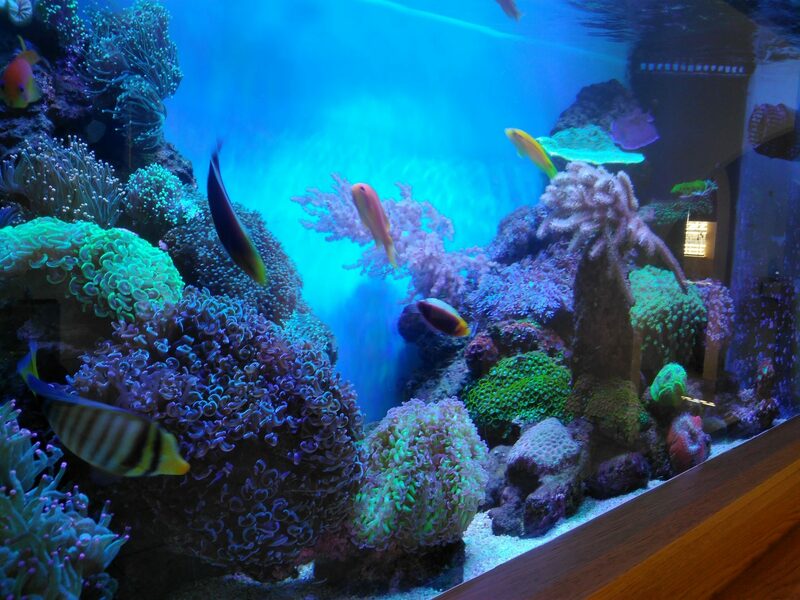 Ten days ago we share nice pictures of an aquarium from Indiana under our Atlantik V4 led lighting for reef aquariums belonging to Mark Gustin. 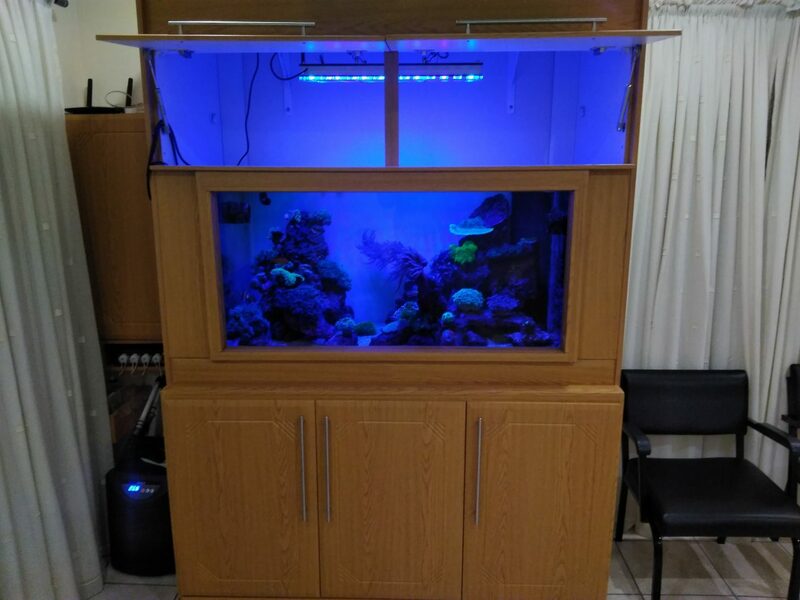 Today we are equally happy to share a reef tank from Durban, South Africa belonging to Alli Mohammed, also placed in a wood cabinet and lighted by our newest launch, the Orphek Atlantik V4 Led Lighting. 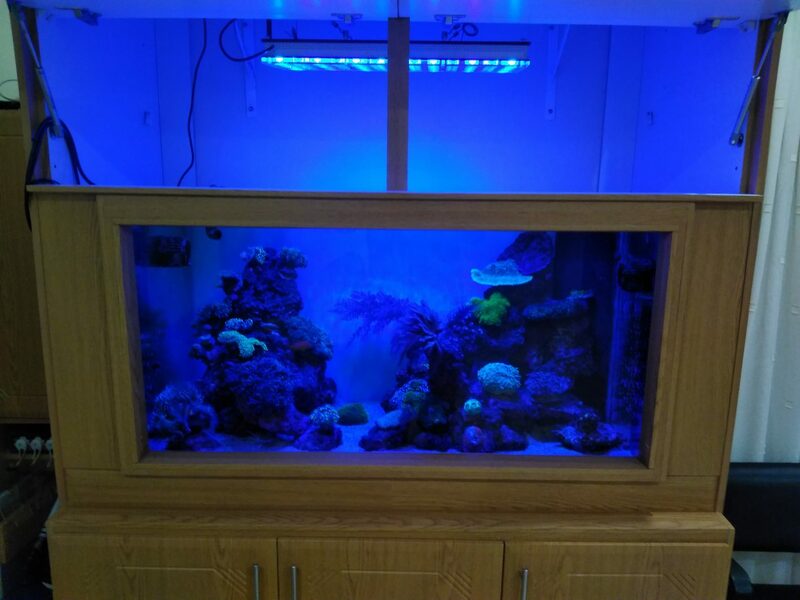 My lights are currently suspended 18 inches (45cm) above the tank that gives a nice even spread my coral seem to love it. I have lots off euphillias; anchour coral, torch coral, and frogspawn. I also got goniopora and a lovely green and purple montipora some blastomusa as well. 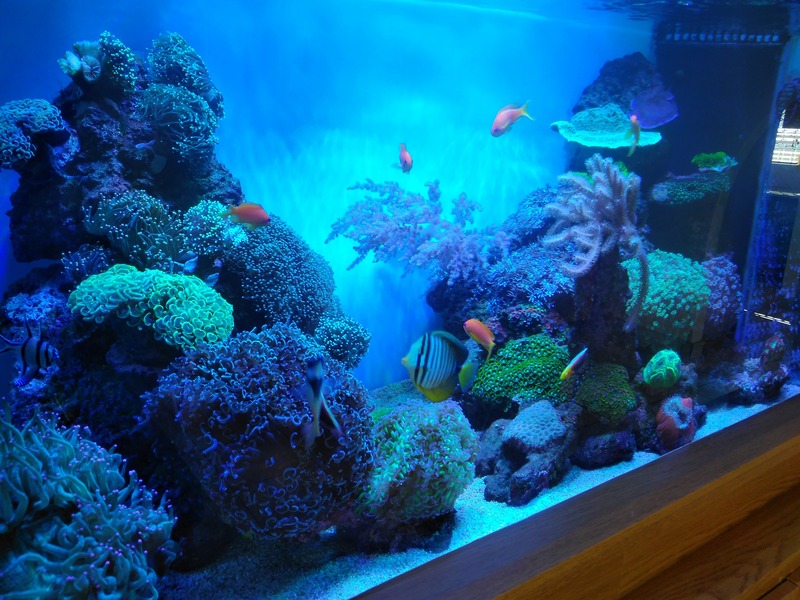 It’s mainly LPS and I’m currently running one off the pre loaded programmes – I’m using coral growth programme. 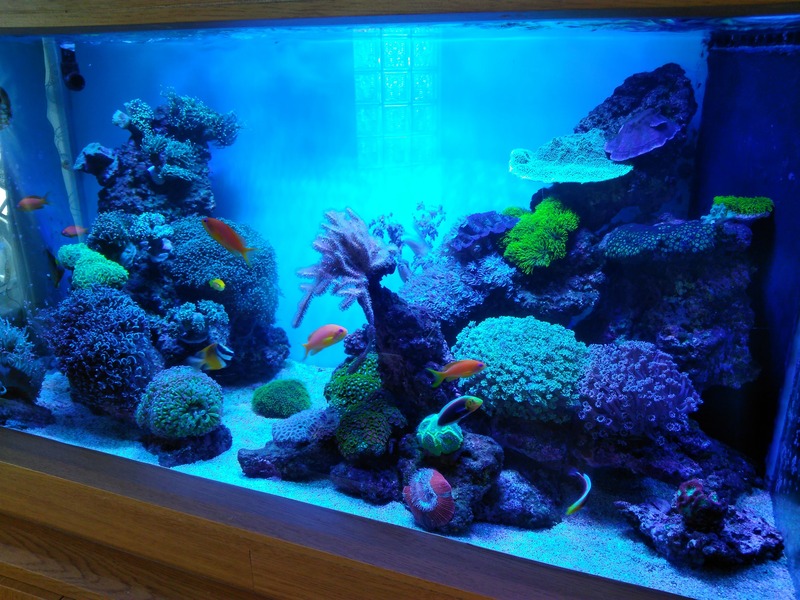 Tank: 500 liter mixed reef. Orphek is know for its versatile and conceptual designs. Our Atlantik V4 LEd lightning for reef aquariums will look great above tanks with or without a canopy, and since it runs a cool system compared to many others in the market no wonder our client has been able to reduce the heat using our LED light solution.